Candidates have to Register their basic particulars through One – Time Registration which is mandatory on payment of Rs.50/- towards registration fee. Candidates who have already registered in one time Registration System it is enough to pay the Examination Fee. Others [i. e Candidates not belonging to SCs SC(A)s, STS, MBCs/DVs, BCs and BVMs] who have put in 5 years of service in the state/ central government are not eligible even if they are within the age limit. The Technical and Non-Technical Staff of TANSI who have faced retrenchment and have not been absorbed in the Government Corporations/ Undertakings may also apply, if they are otherwise qualified except age and the relevant age rule will be relaxed by the Government in their favour if they come up for selection. Educational Qualification:Candidates should possess the following or its equivalent qualification on the date of notification. Must possess minimum general educational qualification viz. 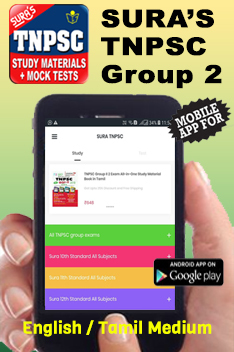 Must have passes S.S.L.C public examination or its equivalent with eligibility for admission to higher secondary courses of studies or to college courses of studies. Note: The applicants who have not passed S.S.L.C examination or its equivalent are not eligible even if they possess a higher qualification. Knowledge of Tamil:Candidates should possess knowledge of Tamil.